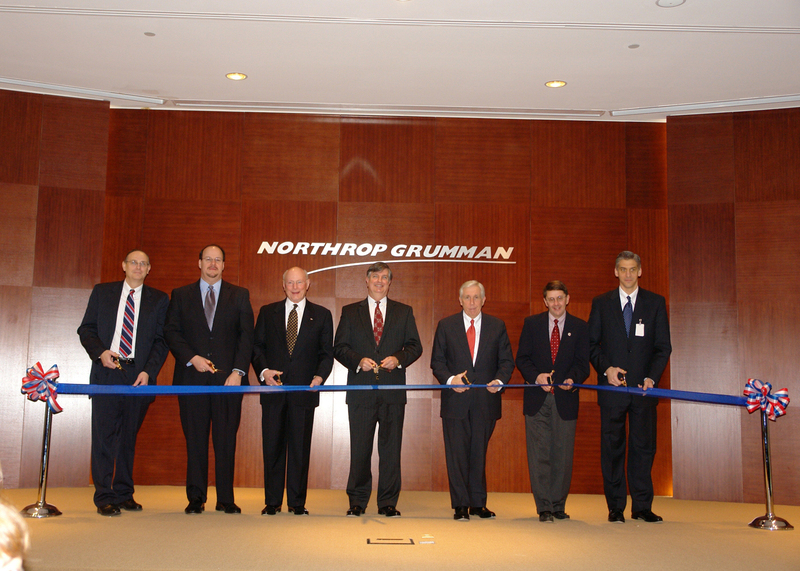 Photo Release -- Northrop Grumman Opens New Conference Center in Chantilly, Va.
MCLEAN, Va., March 7, 2006 (PRIMEZONE) -- Northrop Grumman Corporation (NYSE:NOC) broadened its presence within the intelligence community with the opening of the Heritage Conference Center, a secure training and meeting facility. The conference center is located at 4803 Stonecroft Blvd., in Chantilly, Va.
Highlighting the occasion were remarks and a ribbon cutting by U.S. Rep. Frank R. Wolf (R-Va. 10th); Supervisor Michael Frey of the Fairfax County Board of Supervisors; Wood Parker, president of Northrop Grumman Information Technology sector's Intelligence Group; and Evan Hineman, advisory board member and former president of the Intelligence Group. "This conference center was designed to meet today's demanding meeting and security requirements with sophisticated technology and extensive secure meeting space," said Parker. Designed and built to host secure conferences, meetings, training classes and special events, the 25,000 square-foot Heritage Conference Center features a 320-seat auditorium, two executive discussion rooms, five conference rooms and a training room.